When we got invited to visit Sibiu by the local tourism board we both were unsure where it was located. All we knew was that it was in Romania. We had no idea of its history, size or if we would even like the place. Well after spending 3 amazing days there we can declare that Sibiu is one of Europe’s hidden gems. As soon as you arrive you are instantly charmed by the place. 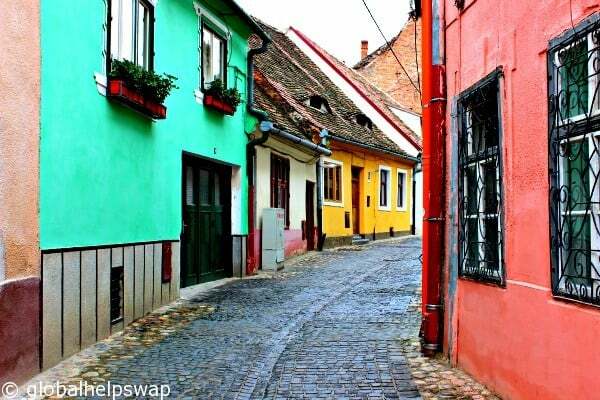 What with its cobbled streets, unique architecture and stunning squares, Sibiu is a traveller’s dream. 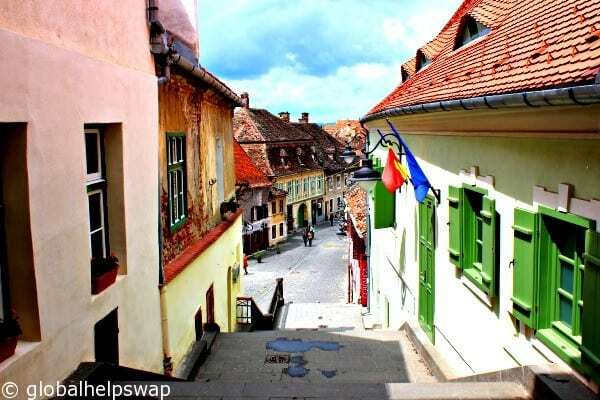 Voted European Capital of Culture in 2007, Sibiu IS Romania’s cultural heart. Most months have some sort of festival on and the local bars and cafes are full of Bohemians, artists and musicians. No wonder we loved it. 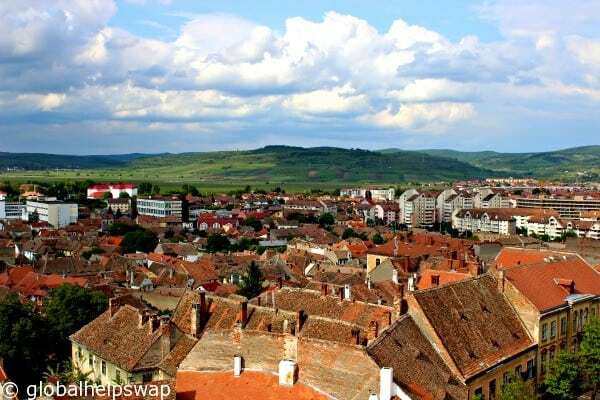 Sibiu is situated in Transylvania, a name that instantly conjures up images of Dracula, castles, and mountains. You will find the latter two here in abundance. For me, Transylvania is Europe’s last bit of wilderness. If you are into any kind of outdoor activities this is the place you should visit. 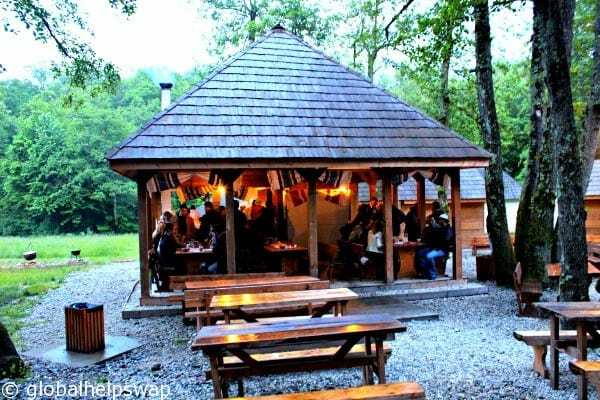 The trekking is second to none, there are still wild bears roaming about and compared to the rest of Europe, Romania is amazing value for money. Now, where does this door lead to? A street behind the door! This is where we stayed. Transylvania was kind of like a homecoming for me as I visited Brasov way back in 1989 with my school to go skiing. It was the place that gave me my travel bug so it was pretty symbolic to be returning there as professional travel blogger. 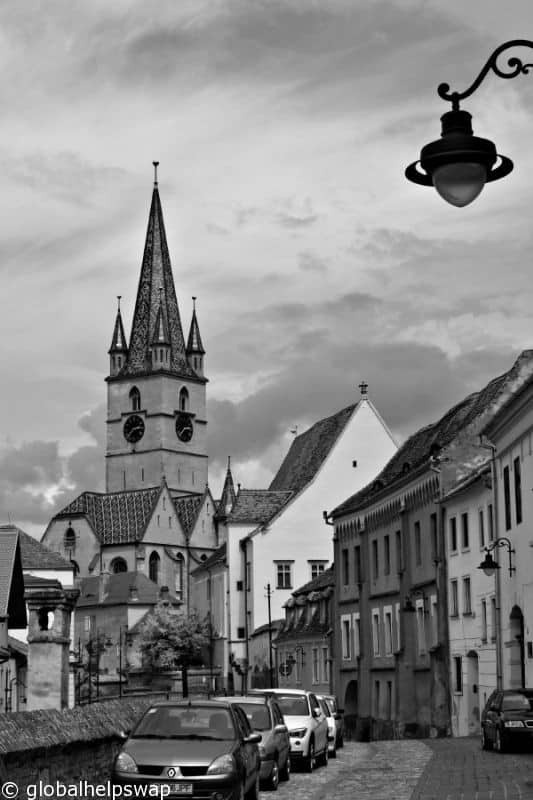 Sibiu is the perfect place to just wander about. 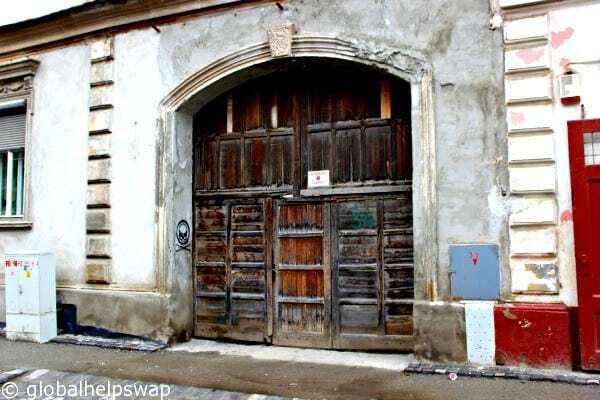 There are many little roads and alleyways leading off in all directions and most will have some kind of cool little cafe or bar to rest your weary legs. We were extremely lucky during our stay as we had our own personal guide who is a local historian. We spent a day doing two of my favourite things, walking around a new place while learning about the local history. At one point we even got invited into the local town hall (even though it was closed) by the deputy mayor. Now that does not happen everywhere. 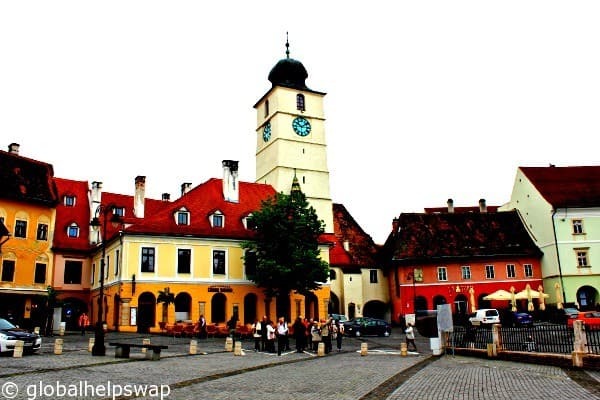 Most European cities and towns have a main square but Sibiu likes to do things differently. Sibiu has 3 main squares all uniquely connected to each other. It gives the centre a nice spacious feel to it. In all 3 squares there are cafes, restaurants, and bars where you sit outside watching the world go by. The population of Sibiu is almost 150,000. The locals are a friendly cultured bunch who know how to have a good time. I would say per capita, Sibiu has some of the most creative people anywhere on the planet and they were a real inspiration to us. Do you see what I mean? 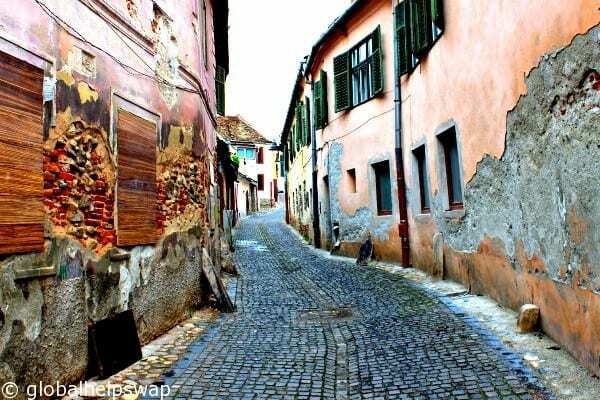 We would say Sibiu played a much more important role in Romania’s history than anywhere else, even Bucharest. The food and drink in Sibiu is fantastic. Wherever we went the quality was high and the prices were low (compared to London). We would have breakfast at the beautiful Cafe Wien. 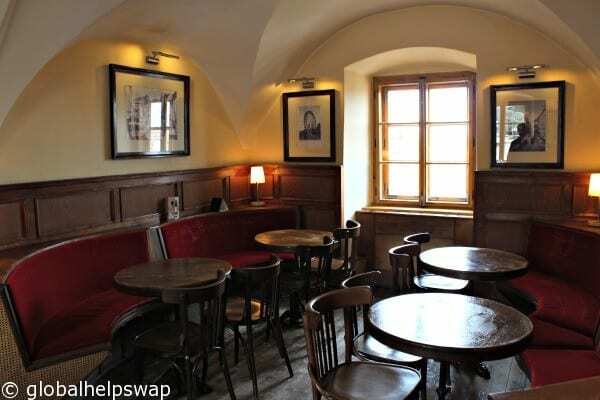 It is the perfect replica of an Austrian cafe with all the wonderful treats that you would expect in Vienna. 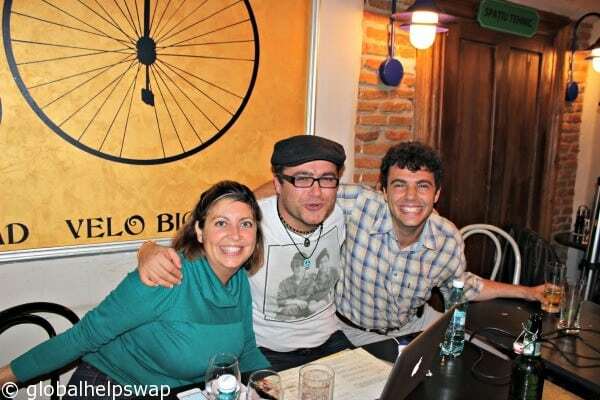 We had a great pizza at Pardon Cafe where we did our travel talk on Mongolia. The Music Pub was a cool place to have a drink. It looks like you are entering an underground bar until you reach the bottom of the stairs and find an outside courtyard. Our highlight and most memorable part of our trip was visiting the Traditional Folk Museum which is located 5km outside the town. 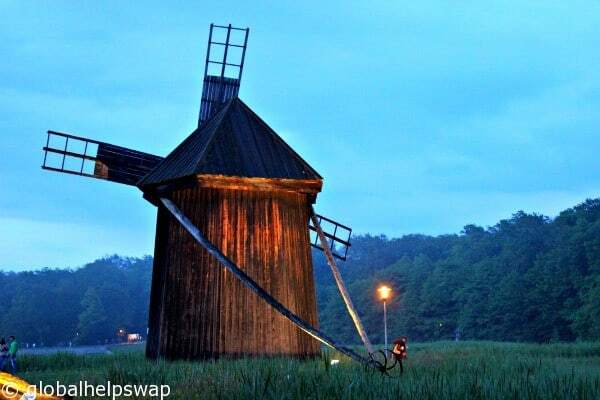 Set in the beautiful Transylvanian countryside this sprawling open air museum has over a hundred traditional dwellings, mills and churches brought from around the country. When we visited it was the European long night of the museums which made our visit even more special, although the location and the people we met were what made this place truly memorable. Everybody welcomed us with open arms including the new museum curator who even shared his home-made Tuica (very similar to grappa) with us! 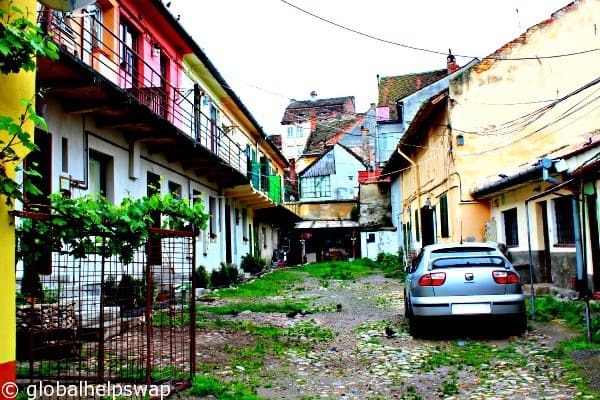 Sibiu is a unique place and yet it’s hardly known. That’s why we consider it Europe’s hidden gem. 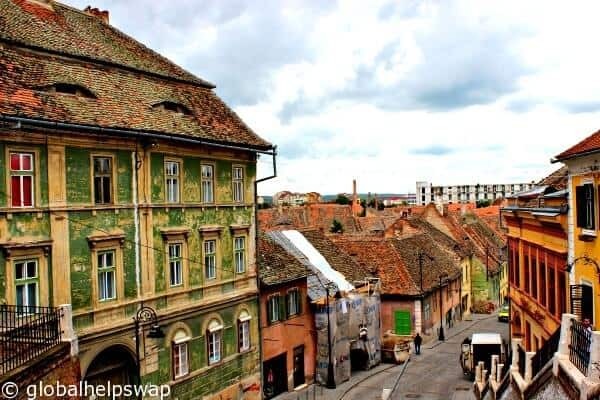 We really recommend visiting Sibiu ASAP because a town this cool will not stay off the radar for too long. 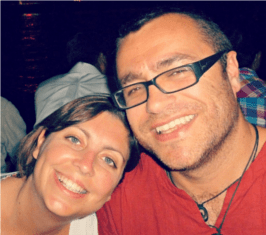 A big thanks to Tudor, Razvan and Diana for making our stay so special. Thank you www.MySibiu.eu for inviting us to your wonderful town. #MySibiu (www.mysibiu.eu) is a project implemented by AIOS (www.aios.ro) and www.ImperatorTravel.ro and is financed by Sibiu Town Hall (www.turism.sibiu.ro). Partners: Galeria Grafit Apartments (http://apartamente-sibiu.rografit.ro) and Wien Cafe (http://www.cafewien.ro/). Hi there, we haven’t been to Sibiu yet, although we’ve been in Romania for most of this year. It’s an amazing country, we fell in love with Maramures, in the far north, so much so that we’ve bought a house here to use as our travel base. 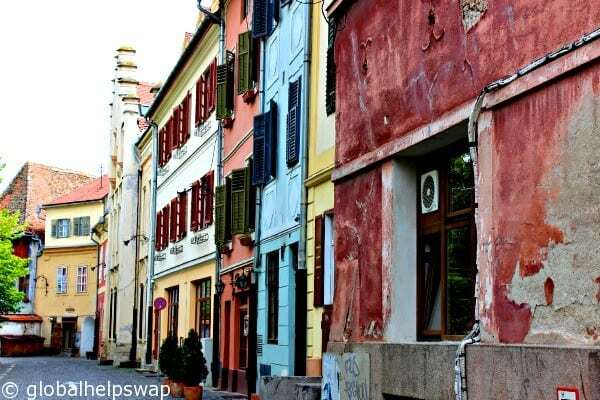 Sibiu looks very much worth checking out. Thanks for your comment. 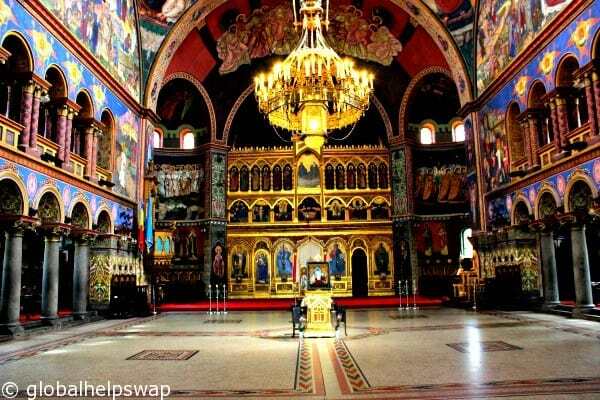 We agree, Romania is so underrated. Link to where you stayed doesnt work? ?